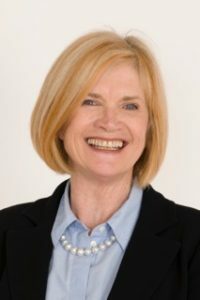 Marg Lennon is an Executive Coach who provides coaching, mentoring and Leadership development consultancy services to clients across a variety of industries, including Health, Financial Services, Insurance, Pharmaceutical, Mining, Telecommunications, Education, Architecture, Medical Devices and Public Relations. Marg’s measured approach and insight coupled with her innate ability to build rapport readily enable her to help others minimise risks, operate more strategically and gain critical perspectives to make significant positive changes. She successfully facilitates group sessions with Senior and Executive teams to meet defined and specific goals, particularly relating to transformational change. Her approach to coaching employs a variety of techniques including Cognitive Behavioural Therapy, Adult Development and Positive Psychology with a solution-focused approach. She is experienced in using a range of change models and has completed a Masters of Organisational Coaching at Sydney University. Marg derives great satisfaction from helping clients reach their full potential as they work towards the achievement of their goals. She particularly enjoys working with senior women to assist them in managing their many challenges and responsibilities. Marg has a strong Senior Executive Human Resources background in the Pharmaceutical and Medical Device industries, having spent many years in various Australian, Asia Pacific and Global roles. Marg is Chairman of the YMCA NSW Board whose purpose is to support and encourage healthy, happy connected communities, with a particular focus on young people. She is the past Chairman of Aftercare, an NGO dedicated to helping the mentally disabled lead independent lives; both organizations are mid to large NFP’s.